Come see the new 2016 Honda HR-V in Marietta, Georgia. The all-new 2016 Honda HR-V has arrived at Ed Voyles Honda. This new member of the Honda family takes its place between the CR-V and the Crosstour in size and functionality. As a crossover vehicle that offers all the comfort of it’s larger SUV siblings with a smaller body size and lower price, we expect the new Honda HR-V to be one of our best sellers. Although compact, the new HR-V has plenty of room for five adults or up to 58.8 cu. ft. of cargo space. 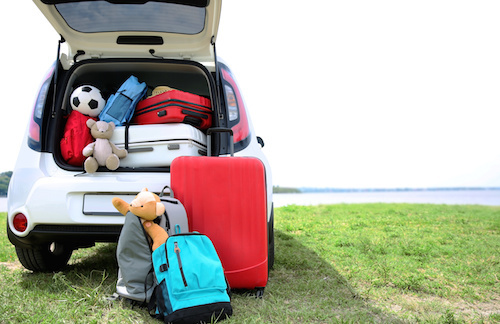 The cargo area can be configured to accommodate objects of up to 8 feet long or 4 feet tall with upward and downward folding rear seats. The smaller body size and fuel-efficient 4-cylinder engine allow the Honda HR-V to deliver a 28 City/35 Hwy MPG. The new HR-V is loaded with all the creature comforts we have come to expect from Honda. Some of the convenient technology on board includes a 7-inch touch screen display with Bluetooth streaming audio, steering wheel mounted controls and a multi-angle rearview camera. Drivers and passengers alike will also enjoy many luxury features such as leather trimmed and heated front seats, climate control and a power moonroof. Honda is offering the HR-V at a modest starting MSRP of $19,115 and with a wide variety of models to choose from. These are the, HR-V 2WD LX, AWD LX, 2WD EX, AWD EX, 2WD EX-L Navi and AWD EX-L Navi models. The Ed Voyles Honda dealers are excited to offer this new vehicle and are ready to answer your questions. 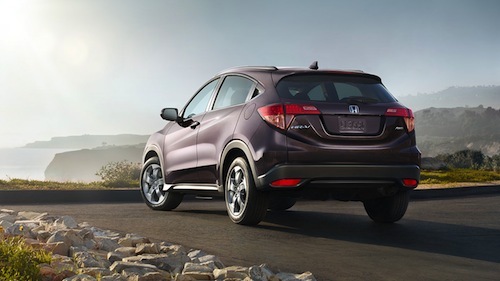 We invite you to come test drive the new 2016 Honda HR-V in Marietta, Georgia soon.